As Earle Labor notes in his preface to this comprehensive biography, Jack London is a man who, nearly a century after his death, still looms large in the American imagination. Labor seeks to illuminate, or in some cases even dispel, some of the myths surrounding this literary genius (e.g. London was an alcoholic, London was a badass, London committed suicide). Labor also sets himself the task of reconciling London the rugged individualist with London the ardent socialist. With these lofty aims set forth, Jack London: An American Life might have become a programmatic attack, or defense, of London’s life and work. But this book is biography at its best: rich in its description and reliant on primary sources whenever possible not only to dole out facts but to lend an air of local color. 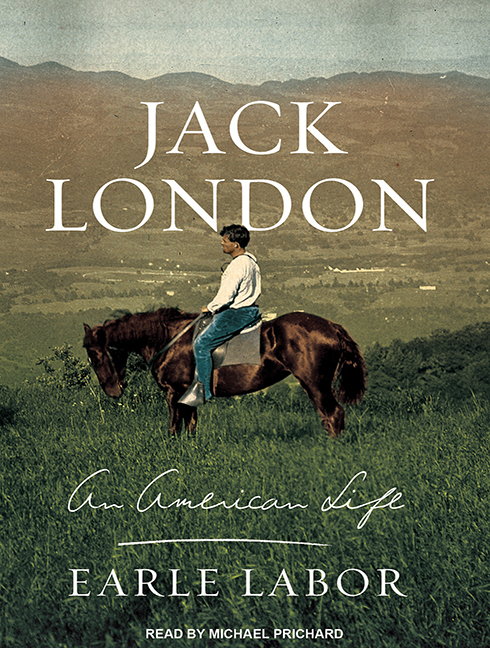 The subtitle An American Life is thus appropriate, since the reader is treated to a glimpse into not just the life of Jack London, but into the America (parts of it, at any rate) of the late nineteenth and early twentieth centuries. Unlike some modern biographies that attempt literary flourishes by beginning in medias res and then backtracking, or otherwise play with chronology or other tropes to heighten the narrative power, Labor’s work doesn’t pull any punches. It is a biography from start to finish, and only delves beyond London’s birth in an effort to shed some light on his less-than-Rockwellian parentage and upbringing. The biography then marches chronologically right up until the days of London’s final illness and death–which at only age 40 came much too soon. While at points this made for tedious reading–I felt I was stuck in the South Sea doldrums right along with London and crew–it left me with a sense of completion lacking in shorter or less thorough biographies. I really feel like I know London’s story from cradle to grave. Though not written for a scholarly audience by any means, the tight focus on London’s immediate life and surrounding does mean the reader should have some knowledge of turn-of-the-century world events. Labor does not deviate from the story, for example, to explain the origins of the Russo-Japanese War or the Mexican Revolution, which both figure into London’s life as a reporter. This work might just as easily have been subtitled “American Lives”, since Jack London was not only a journalist but also an oyster pirate, a gold miner, a hobo, a convict, a captain, and a rancher, not to mention world-class writer. And Jack London is a prime specimen of the adage “write what you know.” After his time as a gold miner in the Great White North, he cranked out Klondike stories; after his stint reporting boxing matches, he tried his hand at writing a story about a prize match; and during his cruise in the Pacific, he wrote moving pieces about Hawaii and the South Sea, most notably Ko’olau the Leper. As a reader fascinated with wordcraft and the writing process, I found Labor’s observations on London’s writing life particularly insightful. Sadly (for me, at any rate), any sort of deeper criticism (in the scholarly sense of the word) of London’s writings or their far-reaching influence is beyond the scope of this biography. We do not learn whether Ernest Hemingway read London’s anti-bullfighting story The Madness of John Harned, for instance, nor do we discover whether his socialist writings had any impact during the Red Scare not long after his death. The lack of these literary insights isn’t so much a problem with the book as it is a casualty of its tight biographical focus. Most casual readers who don’t go in for literary trivia will probably actually be grateful for its absence. What makes Jack London: An American Life such a joy to read is its frequent inclusion of source material, much of it written either by London himself or by his precocious and stalwart second wife Charmian. Labor weaves these glittering strands into the narrative’s tapestry so seamlessly that, at least to the audiobook listener, it’s occasionally difficult to ascertain where London’s words leave off and Labor’s prose picks up again. This is partly due to Labor’s own skill as a writer in his own right, and perhaps some of the literary prowess of his subject rubbed off on him as well. The strength of the biography’s prose easily buoys the text along through the book’s occasional slow spot. Michael Prichard’s narration complements the text well, and his accentuation and intonation of quoted text helps mitigate the aforementioned problem of distinguishing quoted material from Labor’s own pen. 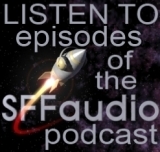 The few “mistakes” I noticed in the narration are more a matter of usage or stylistic debate than actual shortcomings. Overall, the audio presentation never detracted from, and in some ways added to, the power of the written work. As I hinted earlier, the only real problem with Jack London: An American Life is that there isn’t enough of it. Earle Labor, curator of the Jack London Museum in Shreveport, Louisiana, clearly has a lot to say about London, and in fact has written other works about the literary giant. As with any great biography, this book is a springboard inviting readers to further exploration, which in this case means, above all, reading Jack London’s own work. Through his own powerful words, and through the able stewardship of scholars like Labor, Jack London continues to blaze a literary trail almost a hundred years after his passing. An NPR piece on this new biography features not only snippets of an interview with Earle Labor, but also a wax cylinder recording of Jack London himself. I’m glad you like it so much. Earle’s a great scholar, a terrific teacher, and a fine colleague.